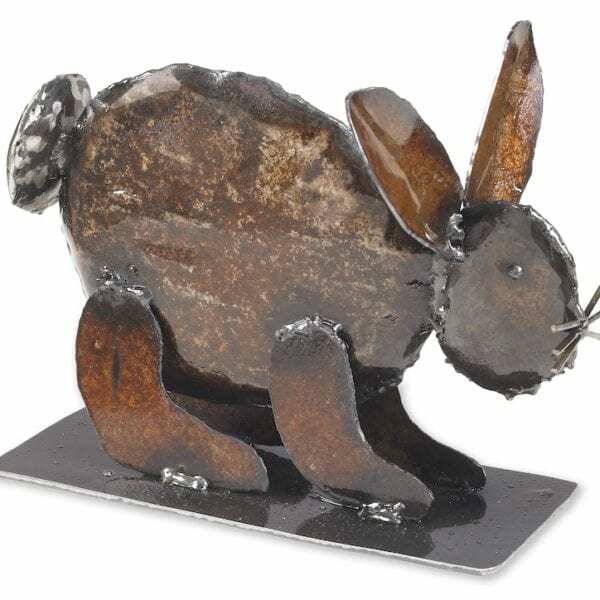 This Rabbit sculpture is handmade in Pennsylvania from reclaimed metal. The pattern is hand drawn on the metal with soapstone and cut with a hand held plasma cutter. The Rabbit is then hand hammered and arc welded into shape.